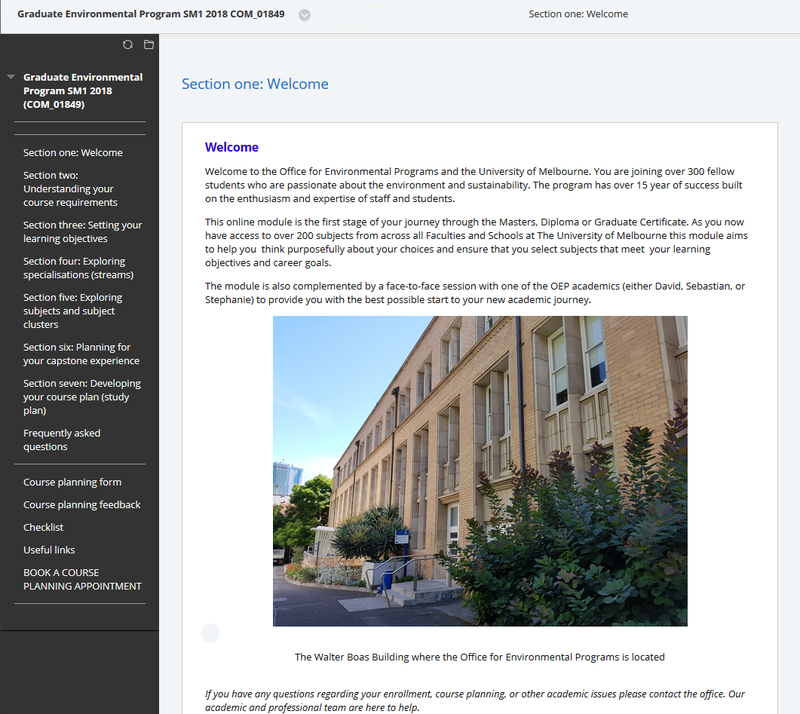 Below is a step-by-step guide on how to access the LMS Course Planning Module. Before you can access the University’s Learning Management System (LMS) or any other online systems, you will first need to set up your student account and accept your offer. Information on how to do this can be found online: http://students.unimelb.edu.au/get-started. 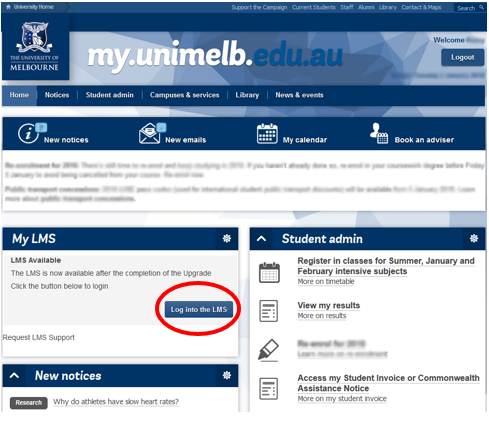 Go to my.unimelb.edu.au and use your University username and password to log in. You will then need to complete the Course Planning Form, accessible from the left-hand side menu, where you will be asked to upload your study plan (which you will develop in Section Seven), and/or include details of your intended subjects. The information in this form will be reviewed by your academic advisor prior to your course planning appointment. If you haven’t already done so, book your course planning appointment and register for Orientation.